The chain seen in this image was used to manually open and close the valves contained within the massive pipes that brought air into the stoves of the Carrie Furnace. It would take ten minutes or more to fully open or close the valve. 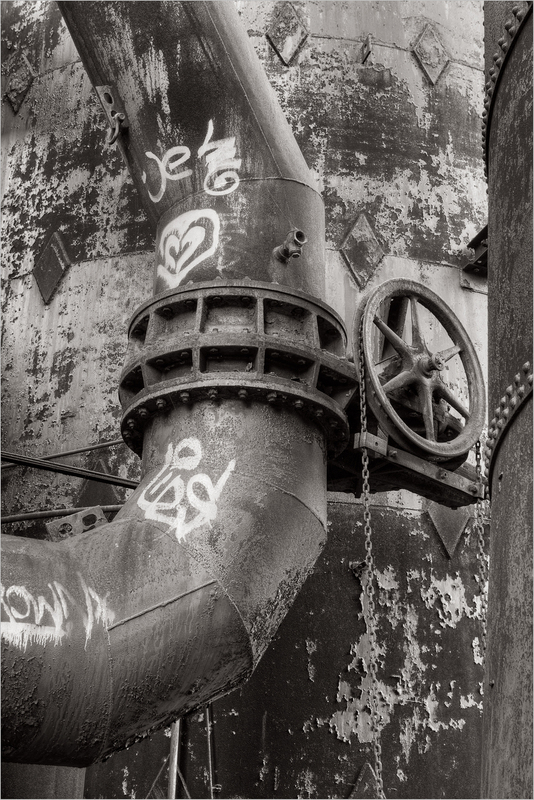 A large chain valve in the Carrie Furnace Stove Room, which took men ten minutes to manually open and close. The chain seen in this image was used to manually open and close the valves contained within the massive pipes that brought air into the stoves. It would take ten minutes or more to fully open or close the valve. The audio content describes how this was done by someone who actually spent a good deal of time doing it himself!